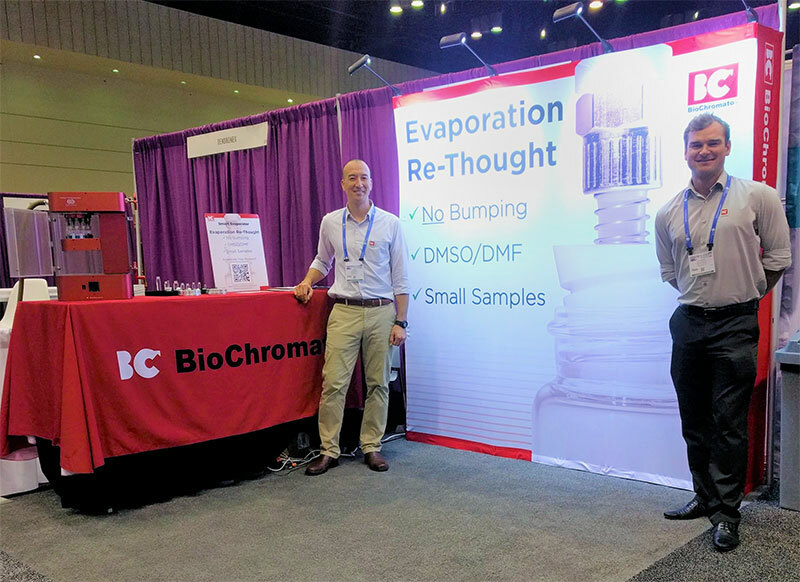 BioChromato attended the American Society for Mass Spectrometry (ASMS) in San Diego, CA, where we had analytical equipment on display, as well as our Smart Evaporator. In addition, we also had a number of poster presentations outlying applications of two innovative devices for DART-MS systems called ionRocket and Volatimeship. 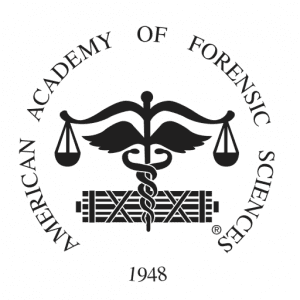 Applications included analysis of polymers, plastics, lubricating oil and drug detection. More information including PDF printouts can be downloaded for free on our website under applications and posters for ionRocket and Volatimeship. BioChromato continues its global influence by attending the Analytica conference in Munich. We met with researchers in academia and industry leaders in Europe, along with distribution partners throughout the region. We had our analytical instruments on display ionRocket and Volatimeship, as well as our Smart Evaporator and plate seals. 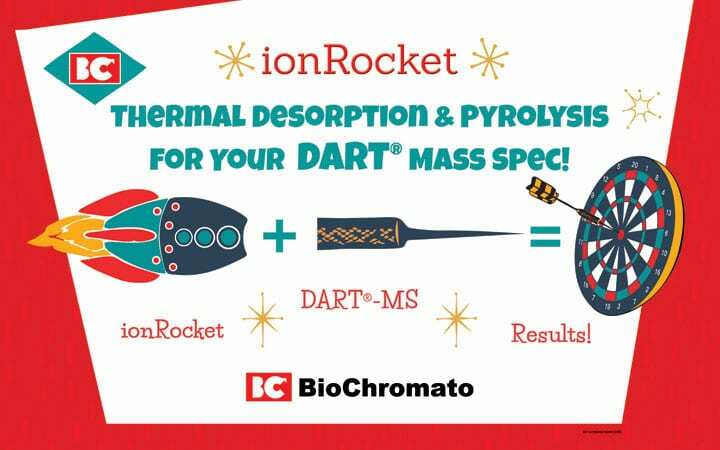 The ionRocket is a novel analytical device that directly heats samples in a controlled rate of heating. This allows volatilization and pyrolysis of compounds in order to be ionized by a DART source and introduced directly into a mass spectrometer. Volatimeship is a sampling device that measures the headspace of a given sample in order to analyze volatile compounds typically associated with aroma. The samples are then introduced in real time into a DART gas stream where they are ionized and fed into the mass spectrometer. This allows real-time monitoring of volatile compounds. The Smart Evaporator is an alternative solvent evaporator device. Unlike a traditional rotary evaporator, there is no risk of the solvent boiling over, or “bumping.” Due to the unique spiral plug technology, the Smart Evaporator allows the user to evaporate directly in any sample vial without the need to transfer to a round bottom flask. 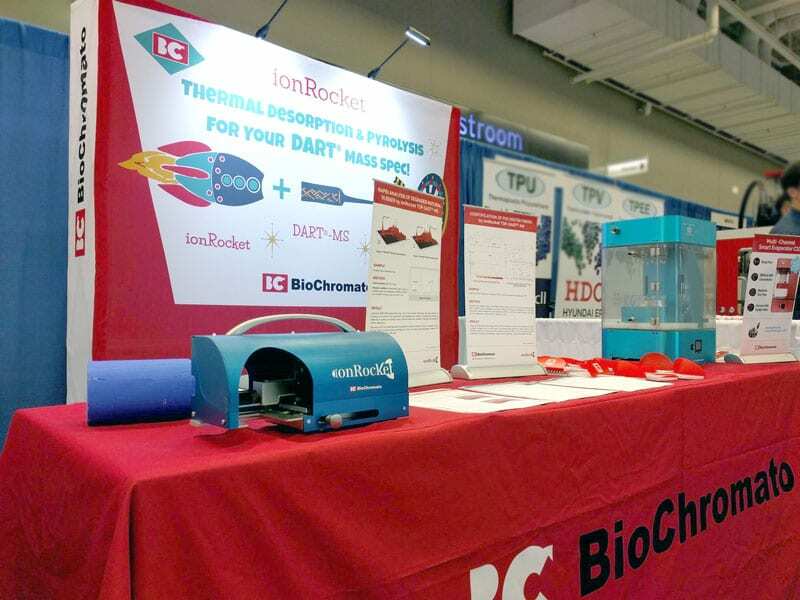 BioChromato was at the Society for Laboratory Automation and Screening (SLAS) in San diego. There, we met with various manufacturers working with autosamplers, liquid handling systems, and other laboratory automation devices. These key industry leaders were impressed with each our plate seals: Easy Piercing Seal (EPS), and Slit Seal. The Easy Piercing Seal (EPS) is a pierceable plate seal for multiwell plates. Due to its embossed surface, sampler needles are easily penetrated with minimal pressure. The Slit Seal is a pre-cut self-closing plate seal for use with 96 well plates. 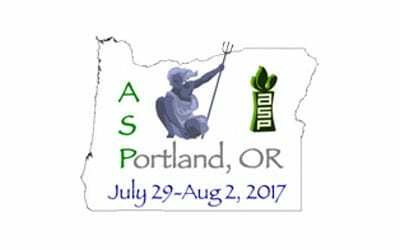 BioChromato attended the 2017 ASP meeting in Portland. Researchers in the field of natural product chemistry were very excited about the Smart Evaporator’s ability to evaporate multiple vials at once, especially when working with extractions. 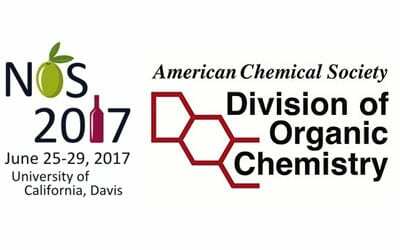 BioChromato was delighted to attend the 2017 biennial National Organic Chemistry Symposium held on the beautiful UC Davis campus in sunny California. The 4 day conference was a wonderful opportunity to meet with speakers, poster presenters, and other attendees in the exhibit hall where the Smart Evaporator was on display. Researchers were very excited about the Smart Evaporator and the ability to evaporate small volumes bump free directly in any sample vial. While at UC Davis, we were privileged to take a tour of the Robert Mondavi Institute for Wine and Food Science including the campus vineyard, the LEED Platinum winery for teaching and research, the UC Davis Brewery, and learned about the chemistry of beer making at the sensory theater from an interactive presentation by Prof. Charlie Bamforth.